Before I begin, I want to give a thank you to everyone who has supported me thus far with your prayers, thoughts, and through social media. It is a massive understatement to say that I am truly blessed and overwhelmed with your support. Thank you! 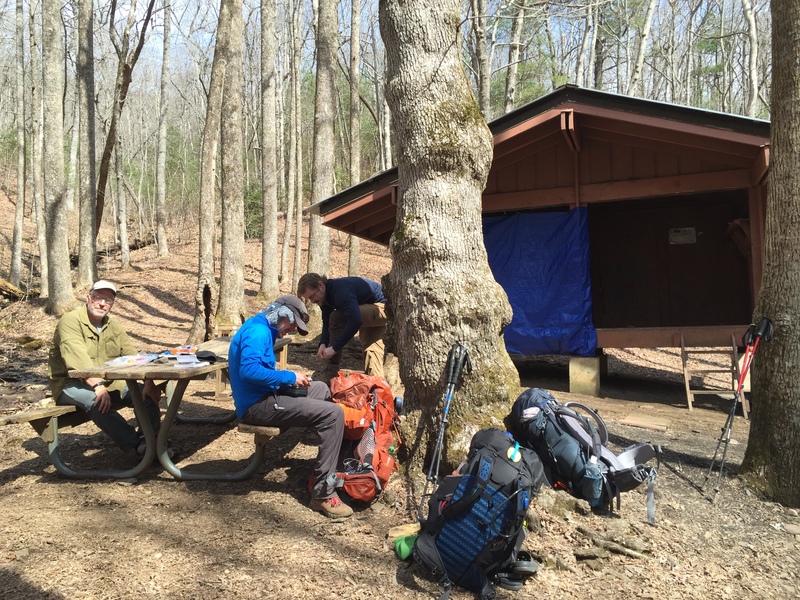 A typical lunch break at a shelter alone the AT. After writing my last blog, I realized that I have way too many thoughts and there is no way that anyone wants to read everything that I think about. So, to keep the blog a little shorter, I am going to write on one aspect or story of what has happened since I have last updated everyone. 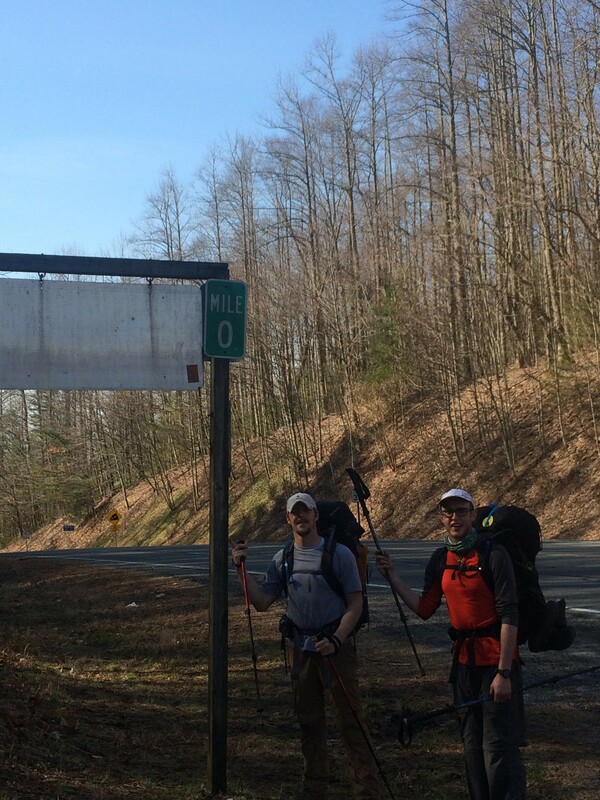 Jared and I (yes another Jared) found this sign for mile 0 to be quite confusing! 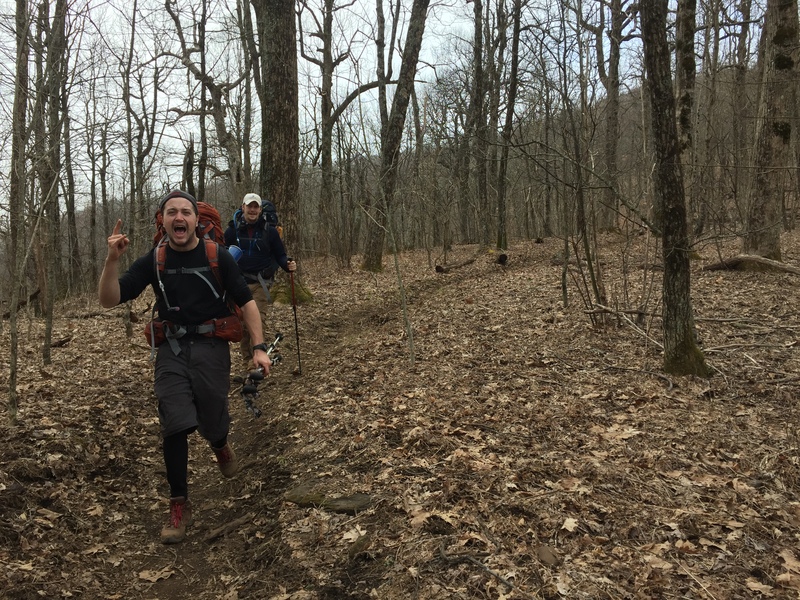 Since my 2nd day on the AT, I had been hiking with two guys from Minnesota and Virginia. We hiked around the same pace, enjoyed conversation about some pretty heavy topics, and over all bonded pretty well together. It was then with great sadness that I had to say ‘see you later’ on Wednesday since they were going to head into town when I did not want to make a town stop yet. After parting ways, I began the next part of my journey alone. My two hiking buddies for the past couple days. Now, I completely understand all of they Christian cliches about how Jesus is in your heart and that God is always with you no matter where you go, but when you are alone in the wilderness walking miles upon miles, these simple sayings and truths seem to be put to the test. What would happen if I couldn’t make it to the shelter? Would someone share something with me if I ran out of food? What if I fall down the side of a hill and no one sees me? What if I die alone? Granted these are all really dramatic and highly unlikely, but when the only thing in front of you is a foot wide trail with thousands of accents and descents, these thoughts have the time to cross your mind and when you have no one to bring you out of the rabbit hole, you keep going deeper and deeper. Sometime after I had been hiking alone, I started to think why do I feel so scared to be alone? What makes it such a horrible experience for me? Thoughts like missing the people I love most, not knowing anyone on the trail, not feeling like I knew enough to be out here, and not truly desiring to be alone – all crossed my mind. I wrestled with how someone who has so much support back home and through social media, can feel so utterly alone. Maybe it’s the big hills, trees, and climbs. Maybe it’s the fact that almost everyone I meet is a stranger to me – making me feel like a small fish in a big sea. Maybe it’s because I’m just plain scared to be alone. I still don’t know how I will deal with those days when I hike the entire day alone, but I know the faces that I see will be friendly and uplifting because they ‘just are’. The presence of another human being, living and breathing, and walking like me, is all it takes to whisk that loneliness away. The community of the trail is much larger than I will ever be able to understand and the short sometimes silent interactions that I have with people are the ways in which all of those cliches come into reality. The presence of someone completely unlike me, but so much like me at the most basic level is God coming down and giving me peace, rest, and love. Trail name update: MacGyver seems to be a popular name. Per the recommendation of Tim, my new and improved trail name is Pen Dexter. I am told that this is a beautiful reference to the movie Revenge of the Nerds. Beats me though. Love the honesty and vulnerability you are daring to show in this post–I’m sure it’s a fear many of us share. We’re meant to be with people! I bet you’ll discover amazing things about yourself though. So exciting!